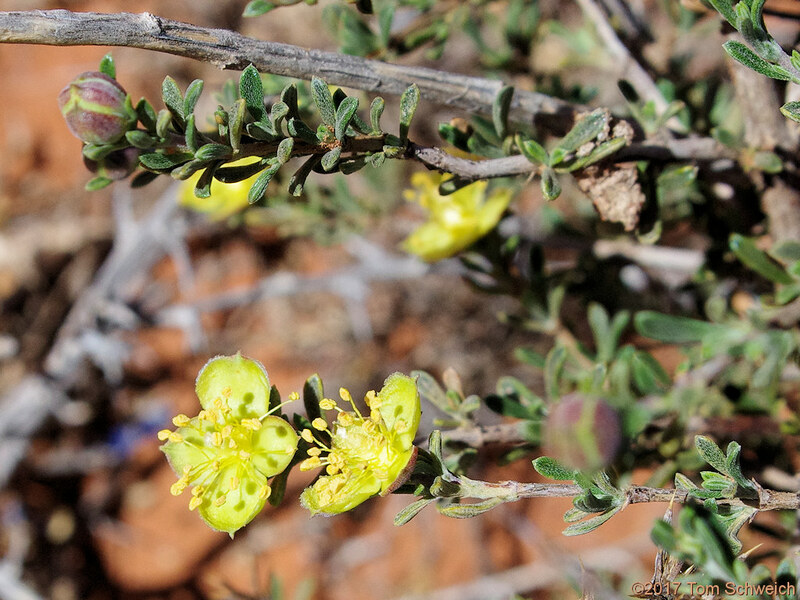 Photo: Blackbrush (Coleogyne ramosissima) in bloom at Monument Valley. Eastern Mojave Vegetation Blackbrush (Coleogyne ramosissima) in bloom at Monument Valley. Other photos about Species - Rosaceae or Rosaceae Coleogyne ramosissima.